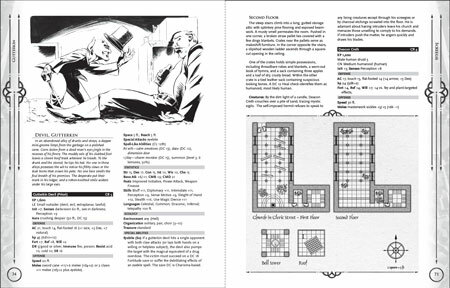 This product features descriptions and stat-blocks for twenty urban-based monsters using the rules presented in the Pathfinder Bestiary. 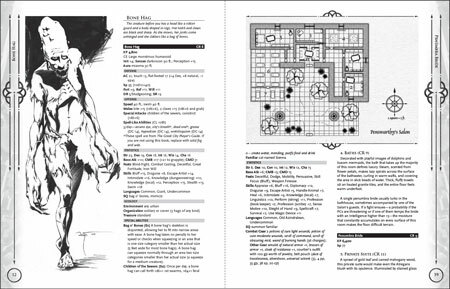 In addition, each entry contains further information for how to use the creature in an encounter, encounter ideas, and for most of the entries, a fully detailed lair which you can simply drop into an adventure as a plug-and-play mini-adventure or encounter. While you might get a few less monsters than in a typical bestiary, our goal was to give you very usable monsters, and of course showcase 0one’s exquisite maps. Download the Harvestman for free HERE!